• Leather does not basically need a separate leather care. • To remove dirt from the leather you can use our recommended care products. • A darkening or brightening of the leather caused by light and - especially by UV radiation (sunlight) - is completely normal and belongs to a natural leather product. • Careless use of unsuitable care products can ruin the leather - please do not use casual care products such as leather grease. • Most of our leathers do breath. Spots such as red wine on an open-pored saddle leather do not go away even with strong cleaning agents. In time these spots will get less visible. Appreciate such changes to your product, they tell your stories. • Leather forgives much - often time and soiling / discoloration becomes less and less visible. • A mechanical damage (scratches in the leather) can be mitigated by a suitable care product and sometimes even becomes invisible to the eye. • If you have questions please get in contact with us. Do you want to keep your leather product as long as possible? Don´t me scared! Expensive leather shoes, for example, should be protected from the start with shoe polish in order to preserve the shine. However, when applying this shoe polish to a furniture leather, you not only spoil the garments, you also ruin the furniture leather itself. The needs of every leather are completely different. Some want to be protected on the surface against mechanical abrasion, the others need a greasing to maintain their suppleness and others are refreshed with fresh shine. 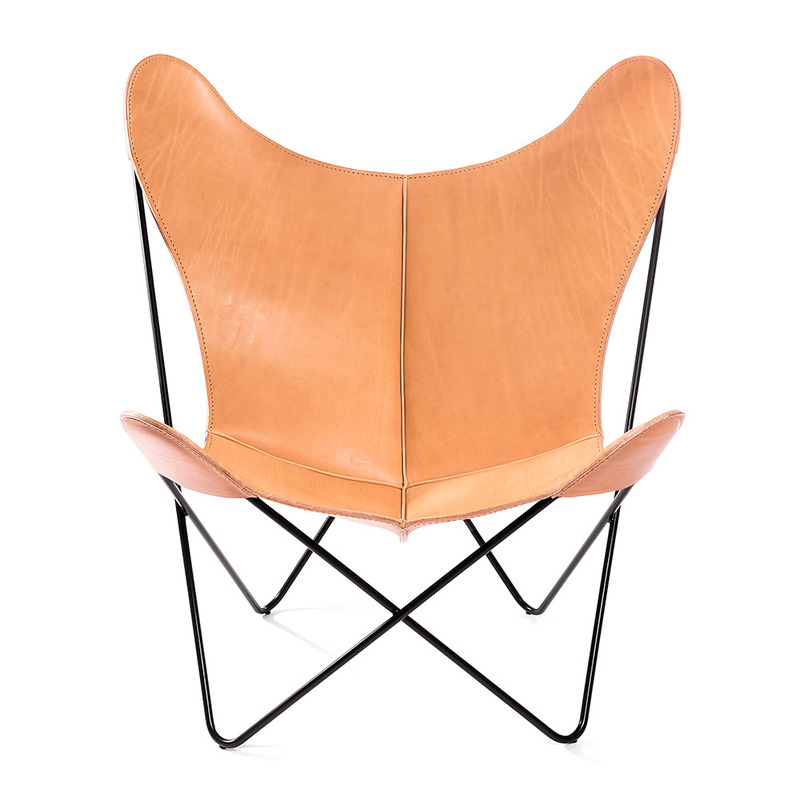 We help you to choose the right products for your Hardoy Butterfly Chair. 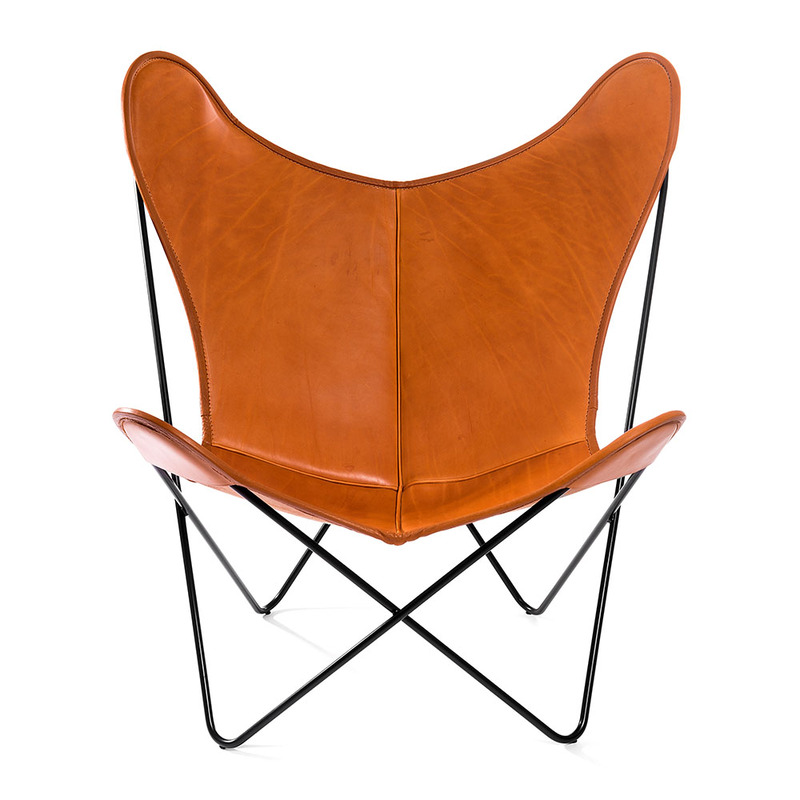 Our Hardoy Butterfly Chair is a furniture that meets the highest quality standards. Our leathers are processed by hand in Germany. Each coat is a unique piece assembled with work, diligence and passion. Of course, you want to preserve it as long as possible. This may include much less than you think. Basically, the cover does not require any care during normal use. Regular dusting with a soft cotton cloth is quite sufficient. Because we work with the full substance (without reduction / splitting of the leather, like most furniture covers) our leather is very resilient. As a result, even mechanical stress such as scratches are only a sign of use - but not a real damage. Most of our leathers change color over time. This process is completely normal and shows the naturalness of the product itself. For example, saddle leather darkens particularly strongly, cause the type of tanning we used here to achieve the look and feel, and because the surface is only waxed hot. 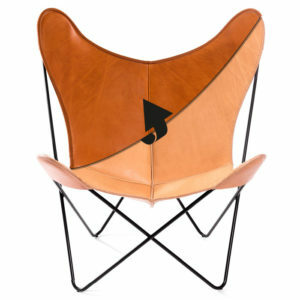 Our goal with this leather was to achieve a balance between protection and naturalness. In the picture below you can see the difference between a freshly produced saddle leather and the development of the patina after normal use. The LCK Care Lotion V protects and cares for all types of leather and gives them a pleasant vintage effect. The lotion moisturizes the leather and giving it a grippy feel. In addition, the wax layer is renewed. 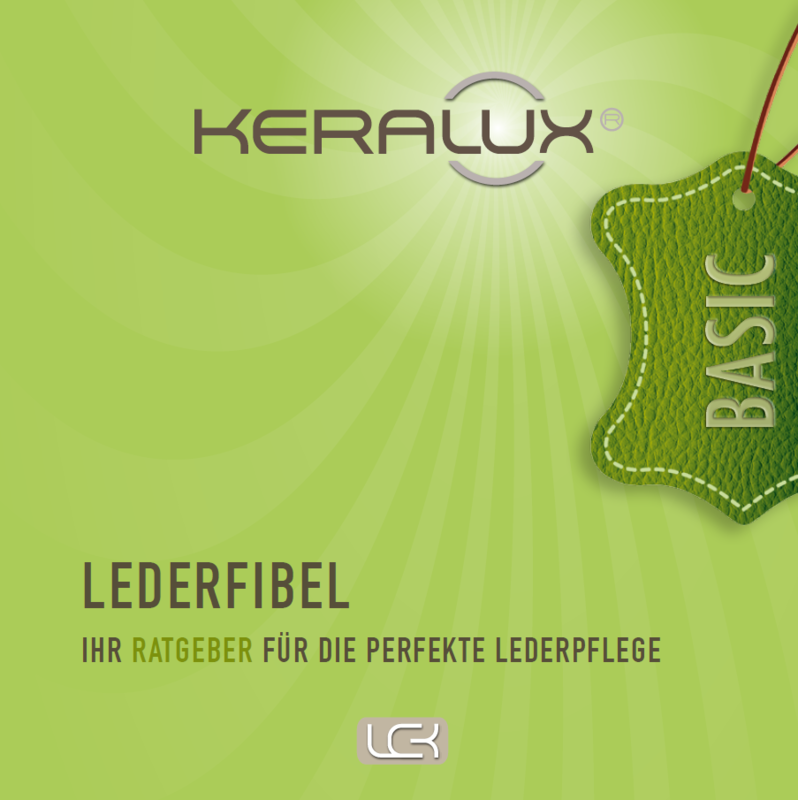 The Care Lotion S by Keralux has been specially developed for saddle leather. The care lotion provides the necessary care and rebuilds the wax layer of the leather, which not only maintains it but also protects it. This even neutralises the visibility of light mechanical damage and color changes. The Keralux Anti Dust is an optimal cleaning glove for a quick and gentle cleaning of your Hardoy. You can moist it with distilled water to rub off surface dirt. In addition, it is washable up to 60 ° C.
With the help of the Keralux Intensive Cleaner even stronger impurities can be removed from your Hardoy. It works particularly well with water-soluble soiling. After cleaning smooth leather, the leather should be treated with a care treatment (Keralux Care Lotion). The Keralux Cleaning Set Active Plus includes everything for cleaning of your Hardoy. Especially good against jeans discoloration, chocolate or shoe polish stains. 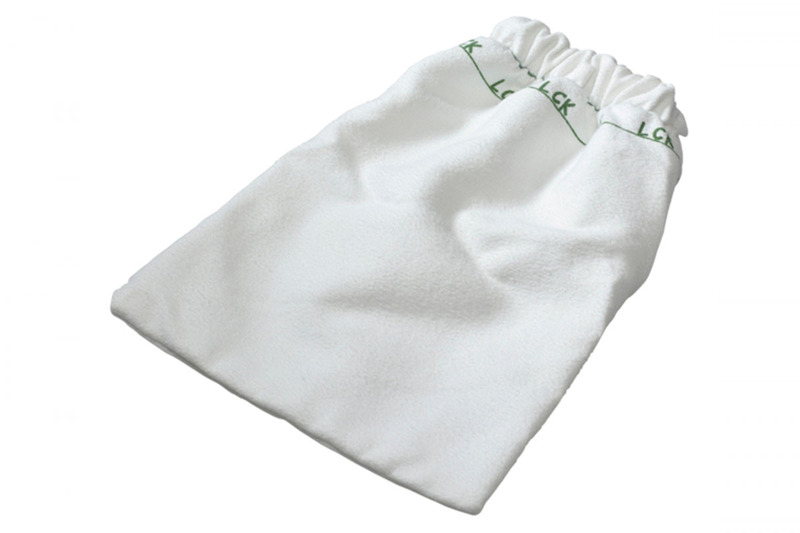 Can also be used for oily soiling such as ice cream, cooking oil and sun lotion. The textile care set by Puratex is ideally suited for the regular maintenance care of textile hardoys. In addition to the practical cleaning glove and demineralized cleaning water for the regular removal of everyday dirt, the set also contains an impregnator. We are happy to help you with the care of your Hardoy. For a long-lasting enjoyment of the product, we do have some tips to keep your Hardoy fresh and handsome. The first few years there is no danger of dehydration. As long as your Hardoy is not exposed to direct sunlight, you do not need any extra care. Once a mishap has happened, such as spilled red wine - remove the liquid as soon as possible e.g. with a soft cloth. Do not use solvent-based or abrasive cleaners! 2: If the leather feels dry after a while, the time has come for a care product. With our care products, your Hardoy retains its suppleness. Choose from our offer. 3: Discolouration caused by dark garments or other soiling can be removed with the cleaning products recommended by us. Please always test them on the backside before using. 4: On many of our leather surfaces, light mechanical friction is sufficient to remove superficial dirt. A little distilled water on a cleaning glove may be the way of choice. 5: Test the care products in a location that is not visible or in focus. We help you if your Hardoy is damaged. Many damages can be corrected. Please ask us for repair. We take care of your classic and bring it back in order.